This book has so much great information and thought leadership, that one recommendation/review cannot do it justice, but I’ll try. From the beginning of the book, Dr. Hess teaches us that passion can distort our perception of reality. We are taught in the book to draw wisdom from our own experiences and failures and the experiences and bad judgement of others. Furthermore, this book eloquently argues we need to learn from both those whom we agree and those we don’t. We do not want our passion to close the door to a fruitful discussion. This book also drives home the fact that reform is not about having good ideas, but about how to make ideas actually work. For this, Dr. Hess teaches us that the how of education reform is more important than the what. We are reminded that we all want the same end (what is best for children), but we many times disagree on the means. We are reminded in the book that American schooling was never designed to do what we are asking it to do today. While this book is specifically about education reform, anyone involved in the reform of anything in business or society today would be well served to read this book. As reformers, the author holds us accountable by positing that those making decisions need to be held responsible for making them work. In college, I used to put off studying, often until the night before the exam. Why? You might be surprised. Not because I was worried. Not because I was lazy. Not because I didn’t like studying. Not even because I had more interesting things to do. Nope. I did it because it didn’t get exciting enough until time was running out. Call me crazy, but I did my best work under the gun. Observe several people procrastinate and they may look similar on the surface. They put off making decisions or completing important tasks, and that’s a problem. It delays progress, holds others up, and increases the chance of mistakes. Why do people do this? It may be easy to jump to the conclusion that procrastinators are lazy or lack discipline. Very often nothing could be further from the truth. Procrastination is strongly influenced by personality type. Why should you care? Because knowing this can help you understand your own procrastination tendencies and have a better idea what to do about it. As a friend, parent, leader, mentor, or coach you’ll be better equipped to help others in the most constructive ways. In no particular order, here are six kinds of procrastinators along with tips for how to help them deliver on time. Pleasers procrastinate for fear of conflict, disapproval or rejection. If they run out of time, maybe you’ll feel sorry for them and give them a break. How to help the Pleaser: Reassure these people that you care about them regardless of the decision they make or the outcome of their efforts. Affirm that even if they make a mistake, mistakes are opportunities to learn and grow and you will be with them through it all. When conflict-avoidant Pleasers know they are unconditionally supported and OK they are more confident to move forward, even with difficult decisions and actions. Perfection-Seekers procrastinate until there is more data or more evidence. These people suffer from analysis paralysis and fear the loss of control that comes with making a decision or taking action. How to help the Perfection-Seeker: Affirm these people’s thinking ability and problem-solving skills. Help them weigh pros and cons, anticipate consequences, and develop a “Plan B.” Ultimately, Perfection-Seekers need support to face the sadness and loss of control that comes with making decisions. Encourage and support them to let go and move on when more information will not help them feel any more secure. Responsibility-Avoiders procrastinate to avoid taking ownership or having to live up to expectations. If they run out of time, it’s not their fault. How to help the Responsibility-Avoider: Above all, avoid judging or preaching about responsibility. They key is to balance a “chill” attitude with clarity around what you want them to do. Let them know you’ll accept them unconditionally regardless of the outcome and affirm their creativity in finding their own way from point A to B.
Thrill-Seekers procrastinate until the stakes are high enough to make it exciting. That was me in college! If they run out of time, they’ll try to pin it on someone else. How to help a Thrill-Seeker: Play to their strengths – make it thrilling. If you want them to meet a deadline, make it exciting by issuing a dare or prize. Challenge them to “pull it off,” make it a special assignment that only they can do. I once had a Thrill-Seeker working for me in training support. When I tried to plan ahead with her, it ended up in procrastination. I learned to wait until the last minute to give her assignments and it worked like a charm. Hostage-Takers procrastinate on giving approval or being satisfied. They confuse high standards with unrealistic expectations and hold others hostage with their chronic discontent. Pleasers and Perfection-Seekers are particularly vulnerable to the Hostage-Taker’s traps. How to help a Hostage-Taker: Recognize that beneath it all is a noble desire for excellence and high-quality. Hostage-Takers are natural protectors and want to help others be more perfect. Replace this negative energy by affirming their convictions and dedication to quality. Ask proactive questions about their standards and expectations, and invite their opinions along the way. Passive-Avoiders procrastinate because they don’t feel potent enough to make an independent decision. How to help a Passive-Avoider: Avoid questioning their intentions or commitment. They are externally motivated and greatly appreciate clear direction. They are more responsive than responsible, more directable than self-directed. Use clear, concise commands to find out what they have on their plate, and then direct them towards clear action steps. The following post is an excerpt from chapter 9 of Eat That Frog. One of the best ways for you to overcome procrastination and get more things done faster is to have everything you need at hand before you begin. When you are fully prepared, you are like a cocked gun or an archer with an arrow pulled back taut in the bow. You will be amazed at what you achieve in the months and years ahead. You just need one small mental push to get started on your highest-value tasks. This is like getting everything ready to prepare a complete meal. You set all the ingredients out on the counter in front of you and then begin putting the meal together, one step at a time. Begin by clearing off your desk or workspace so that you have only one task in front of you. If necessary, put everything else on the floor or on a table behind you. Gather all the information, reports, details, papers, and work materials that you will require to complete the job. Have them at hand so you can reach them without getting up or moving around. Be sure that you have all the writing materials, log-in information, access codes, e-mail addresses, and everything else you need to start working and continue working until the job is done. Set up your work area so that it is comfortable, attractive, and conducive to working for long periods. Especially, make sure that you have a comfortable chair that supports your back and allows your feet to rest flat on the floor. The most productive people take the time to create a work area where they enjoy spending time. The cleaner and neater you organize your work area before you begin, the easier it will be for you to get started and keep going. When everything is laid out neatly and in sequence, you will feel much more like getting on with the job. It is amazing how many books never get written, how many degrees never get completed, how many life-changing tasks never get started because people fail to take the first step of preparing everything in advance. Once you have completed your preparations, it is essential that you launch immediately toward your goals. Get started. Do the first thing, whatever it is. My personal rule is “Get it 80 percent right and then correct it later.” Run it up the flagpole and see if anyone salutes. Don’t expect perfection the first time or even the first few times. Be prepared to fail over and over before you get it right. Wayne Gretzky, the great hockey player, once said, “You miss 100 percent of the shots you don’t take.” Once you have completed your preparations, have the courage to take the first action, and everything else will follow from that. The way you develop the courage you need is to act as if you already had the courage and behave accordingly. When you sit down with everything in front of you, ready to go, assume the body language of high performance. Sit up straight; sit forward and away from the back of the chair. Carry yourself as though you were an efficient, effective, high-performing personality. Then, pick up the first item and say to yourself, “Let’s get to work!” and plunge in. And once you’ve started, keep going until the job is finished. Brian Tracy is one of the top business speakers in the world today. He has designed and presented seminars for more than 1,000 large companies and more than 10,000 small and medium- sized enterprises in 75 countries on the subjects of Leadership, Management, Professional Selling, Business Model Reinvention, and Profit Improvement. He has addressed more than 5,000,000 people in more than 5,000 talks and presentations worldwide. He currently speaks to 250,000 people per year. His fast-moving, entertaining video-based training programs are taught in 38 countries. On our way home from The Gulf on our spring break with my family we saw the B-2 Spirit Stealth Bomber flying over Maxwell Airforce Base in Montgomery, Alabama. This was an awesome sight of power and technological superiority. We then saw the US Air Force Thunderbirds. We were memorized by the many formations, maneuvers, and acrobatics. 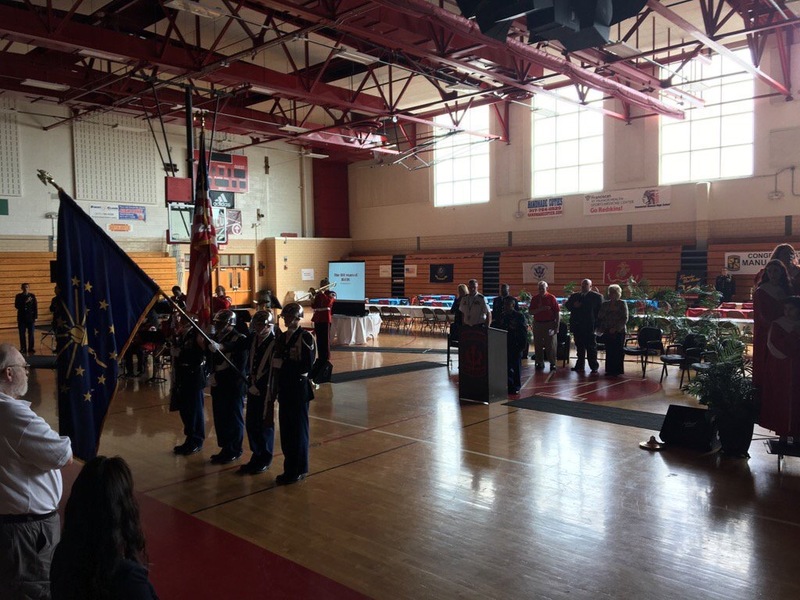 This was all part of the Maxwell Air Show & Open House held April 8-9, 2017. We were fortunate enough to be traveling through at just the right time. The pilots of America’s military demonstration team, the US Air Force Thunderbirds, are some of the world’s best, performing death-defying tricks in fighter jets. While the individual skills of each pilot is admirable, what sets the pilots of the Thunderbirds apart is their ability to work as a synchronized team. The Lockheed Martin F-16 Fighting Falcon represents the full range of capabilities possessed by the Air Force’s tactical fighters. This highly-maneuverable multi-role fighter has proved to be one of the world’s best precision tactical bombers and air-to-air combat aircraft. The only modifications needed to prepare aircraft for air demonstrations are a smoke-generating system and painting in Thunderbird colors. The Thunderbirds are actually part of our combat force. This squadron must be ready for actual missions at a moments notice. As I watched the precision of the maneuvers, I was awestruck by how this team of pilots could fly just one or two foot away from each other at MACH 2 speeds. It was amazing! Then I thought about how this was the ultimate example of leading teams and team cohesion. This team of pilots must be both familiar with each other and trust each other. Trust is about reliability and doing the right thing. Trust is a characteristic that builds respect and loyalty, as well as a supportive and safe work environment. I can only imagining the practice that it takes to build the familiarity and to fly as Thunderbird or be a part of the team on the ground. Even though most of us do not have the thrill and danger of travel inches apart in aircraft going at MACH speeds, all leaders and teams must study fear, understand it, and be prepared to cope with it. I say it all the time – we must have some fear and be uncomfortable in order to grow professionally. Like fear, courage takes many forms, from a stoic courage born of reasoned calculation to a fierce courage born of heightened emotion. Experience under fire generally increases courage, as can realistic training by lessening the mystique of what we are doing. So, just as I imagine all the practice and real-life maneuvering that goes into the Thunderbirds work, we must all strive to learn in the real time/real world context of what we do. Strong leadership which earns the respect and trust of team limits the effects of fear. Leaders should develop unit cohesion and the self-confidence of individuals within the team. In this environment a team member’s unwillingness to violate the respect and trust of his peers will overcome personal fear. This is why we must help our team members to be comfortable with being uncomfortable and get out of their comfort zone to learn new maneuvers and give great performance. Are you leading like the Thunderbirds? My Awesome Delta Flight Attendant! I was inspired to write this post, honestly, by my flight attendant. She kept me up to date on what was going on during a day riddled with delays and cancellations. I had started the process in the afternoon yesterday when my flight to Atlanta was cancelled. I then started the process at 6:30 this morning and had been cancelled and delayed again until 12 noon when we finally got on the plane. I now did not think I was going to make my connection in Atlanta to get picked up by my wife and son in Pensacola, Florida. It might not have been quite as big a deal except for the fact that my son, Heath, and I were scheduled to go bow fishing tonight. For the trip I had brought along my friend, Rick Hess’s new book, Letters to a Young Education Reformer. It is an awesome book and while sitting on a delayed plane I read the chapter “Why You Shouldn’t Put Too Much Faith In Experts.” As a guy that does not really believe in using experts, subject matter experts (SMEs), or consultants, I loved this chapter. Really, it’s not that experts are bad, but we just shouldn’t rely on their word as the final word. As Rick says, “I’ve found that experts often forget that their expertise represents just a tiny sliver of the world, and thus overestimate how much they know and what it can tell us. And that can cause problems” (p. 32). My flight attendant let me know that my connecting flight had been delayed in Atlanta. She was not sure why we were not taking off, but she would see if she could find out and would keep me posted. Keep in mind, I was about the only friendly person on the plane. With so many flight cancellations and delays from the rash of storms across the south and eastern seaboard, everyone was struggling to get where they needed to be. The airlines were struggling to get pilots and flight crews where they needed to be. Here’s the deal; my great flight attendant did not try to be an expert, nor did she even want to be an expert. She was a great example of what I believe we should all strive to do – not give blind guesses or speculate. She certainly had flown enough to be considered an expert, but she did not try to baffle me with expertise or make assumptions based on past experiences like this one. Instead she impressed me by leading with clarity, not certainty! She used the tools and information available to keep me informed of my circumstances. As the expert flight attendant, she did the precise task, using her available information and training to keep me informed of what was going on. When I got to Atlanta she let me know we were at Terminal F, Gate 1 and that I needed to go to Terminal C, Gate 41. She also assured me I was going to make it because my connector flight had been delayed and I now had 1 hour and 10 minutes to make it on the plane. Just like with airline industry schedules, in education we don’t always have a lot of certainty as to what will work, we just need to strive for clarity. Remember, the experts get it wrong all the time. The reality that when people become emotionally invested in their predictions, they cannot see straight—no matter how experienced or educated or smart they are. They become blind to other view points or the actual facts of the situation. All too many times experts begin speculating on past experiences and not the situation at hand. 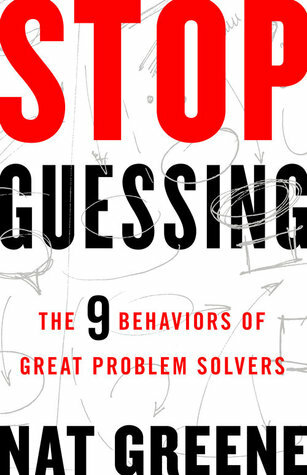 In his new book, “Stop Guessing: The 9 Behaviors of Great Problem Solvers,” Nat Greene calls this the “Expert Curse of Knowledge.” Experts think they know things and then don’t look at all the options. Experts should never be put in a position where their opinion means more than yours. Are you acting too much like an expert or spending too much time listening and following experts? All leaders should read this book and put into practice the behaviors of sound problem solving. These behaviors are also transferable to all decision making. Particularly noteworthy is the knowledge this book provides regarding use of experts. Experts can also learn how to be more valuable by reading this book. The bevaviors for solving problems are easily implemented. By using the right data points and digging in recognizing all hard problems are solvable, we can stop guessing and make the right decisions. Decision-making and problem-solving are two very different techniques for conquering different challenges that businesses face. Choosing the right one in the right situation can mean the difference between business success and failure. However, businesses frequently use decision-making techniques when they should be using a problem-solving approach. This leaves important problems unsolved and value locked away. Both decision making and problem solving involve using information to inform an action. However, this is where their similarities end. Decision-making involves choosing between different courses of action. The process of decision-making is clear: each option is evaluated based on a set of parameters or criteria. But the outcome is not as clear: the outcome from the decision only becomes clear when a decision is made. Problem-solving involves finding a root cause among many possible root causes, whether or not the true root cause has emerged as a possibility in anyone’s mind. The outcome is clear: the problem should be solved in order to bring a business process back to optimal performance. But the process is not clear: what is causing the problem is not yet known, and the problem solver must explore the process without yet knowing their destination. They do not know their destination until they have discovered the root cause. A detective is a problem-solver. Their role is to unequivocally determine who committed the crime, and thus exonerate all other suspects, and thus their objective is clear. Their journey is not clear: they may never find the criminal. A judge is a decision-maker. Their journey is clear: they look at evidence, circumstances, and precedent in order to arrive at a judgment for a convicted criminal. But their purpose is not always clear: they face competing goals, including justly punishing the criminal, giving satisfaction to the victims, appeasing the public, setting an example for others, and not over-burdening the prison system. In business, a problem to solve may be the explosion of the SpaceX rocket on September 1, 2016, which required detective work in order to identify the root cause. Product quality problems, talent retention problems, and customer service problems all fit this mold. In business, decisions may include where to build a new facility and at how much capacity, what product to launch, who to hire, or what security system to use. All of these decisions are choosing between alternatives that are already apparent. As in the case of a crime, decision-making frequently enters at the end of a problem-solving effort. Once the root cause to a problem is found, the business may need to decide between different possible solutions in order to maximize the value of the actions it takes. Before solving a problem, a business will choose which problem to devote resources to solving. When businesses correctly identify a challenge as a decision or a problem, they are able to apply the correct technique to overcome the challenge. But frequently a business will treat a problem as a decision, use the wrong approach, and fail to solve the problem. One large chemical upgrader facility experienced frequent outages due to failing process pumps. These pumps cost millions of dollars apiece, and the outages were costing the business tens of millions per year. The pump seals were wearing down after a few months, causing the process chemical to leak. As pumps were replaced with spares, the business worked with its vendor to choose between potential upgrades for the pumps: harder seals, larger seals, or different geometries. They treated their problem like a decision to make, and despite multiple upgrades, they continued to experience outages. When they pivoted to a problem-solving approach, and acted more like detectives, they closely observed the failures themselves, and found the presence of small, hard foreign grains. These grains caused excess friction and wore the seals down. Further problem-solving found the source of these grains–the “culprit”–and they were able to solve the problem. A decision is the result of choosing among several alternative possibilities. You will see a decision in front of you when the business is attempting to take a step, and the next action requires identifying and evaluating the values and needs of the business in order to select an option that maximizes these. A problem is an ongoing, intermittent, or one-time failure of a process or system to perform at an acceptable level. If a process produces errors or unacceptable products or outcomes, does not run as quickly or efficiently as it should, or poses a negative risk for a business during operation, you are experiencing a problem and should use a problem solving technique. Choosing the right technique for your challenge requires understanding what kind of challenge lies before your business. Learning to recognize and differentiate between these kinds of challenges will help you pick the right approach, and successfully overcome the challenge.